The Good Kind of Crazy: Gift Giving - Locally, Ethically & Green. 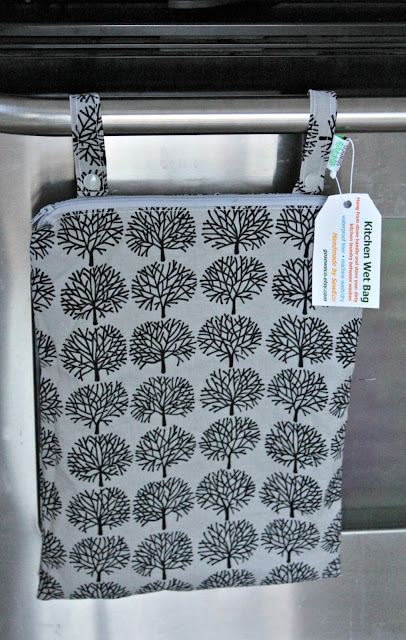 Gift Giving - Locally, Ethically & Green. It seems our society loves trends. For some people, the trend turns in to a lifelong commitment (like my commitment to leg warmers) and for some it passes as soon as the craze does. The last few years there has been a "buy local" trend. This is/was in order to support local struggling farmers, lessen our environmental footprint, and to know where our food comes from and how it's produced. While we have become quite focused on where our apples may have been grown, we still don't seem to mind that most everything else comes from overseas. This past April, a garment factory in Bangladesh collapsed killing over 1000 people. While most people and news outlets were outraged and disappointed, it didn't stop anyone's dollars from flowing into stores like "The Children's Place" (yes, they made clothes there too - not just Joe Fresh). Another "trend" where consumers were outraged for 15 minutes, demanded change, and ooooh 75% off pajamas……. I'm saying this not to be "heavy" but to remind you that your consumer voice counts! Put your money in things you say you believe in. It is easy to beat up big retailers, but they are filling the demand we are creating! you can still appreciate something handmade. While many of you are busy busy busy shopping for Christmas, I'd like to encourage you to support local artisans (or even friends and family) - and incorporate some handmade items to your gifts this year. 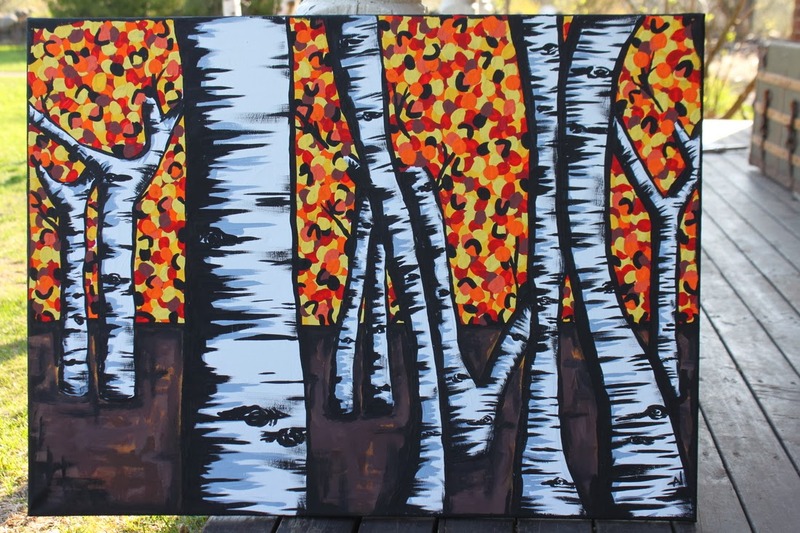 Community Centres and the like are very busy this time of year with craft sales, Mom to Mom sales, and bazaars. Make a point of visiting a few! I picked up so many nice things this weekend. Knitted dish cloths for $1.00/each?!? In addition to hats, scarves, hand mixed scented room sprays, (and so much more) I found a great little gift for the kitchen! Wet Bags measure approximately 11x15 inches, have a waterproof PUL liner and a high quality 100% cotton outer. The liner and exterior are sewn separately to prevent any leaks and for a thorough clean when it needs a wash."
Gifts for Coffee & Tea Lovers…. Cuppow is an American company that grew out of a need to develop everyday products that would help us decrease our own eco-footprint; we have been committed to that ideal from the outset, and seek to achieve it along every part of our process. 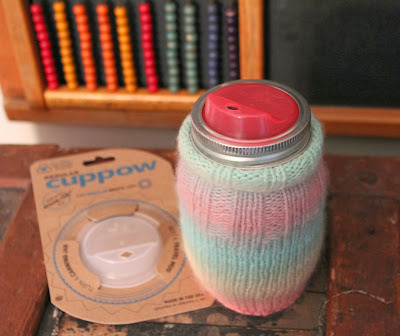 I love drinking from Mason jars and this little invention made it so much easier (and less embarrassing). - It keeps my coffee and hot lemon water REALLY hot! Enlist a local knitter to make you a few and give it as a gift with a Cuppow lid and a bag of Fair Trade coffee for a thoughtful and unique gift! And I'd like to add to that by encouraging you to buy original art! I have a few original pieces in my house and I LOVE them! 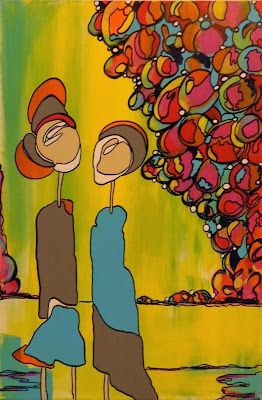 They always get compliments, start a conversation and even lead to others looking for original art for their home. Could you imagine having this beautiful piece hanging on your wall? Melissa Fernandes is an incredibly talented woman in all areas of the Arts and visual arts is no exception. She has had many successful exhibitions and has a beautiful portfolio There are so many beautiful pieces of original art - stop buying mass produced crap and support a talented artist! Full disclosure, this artist is my sister. 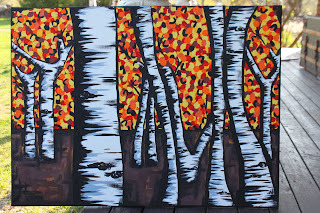 She has been locally commissioned many times to create individualized pieces for. Her artwork is whimsical and vibrant and should inspire you to start adding original pieces to your home! Last but not least….. Get Creative! You - YOU, the reader - Get Creative! These toys have been well loved the last few years. 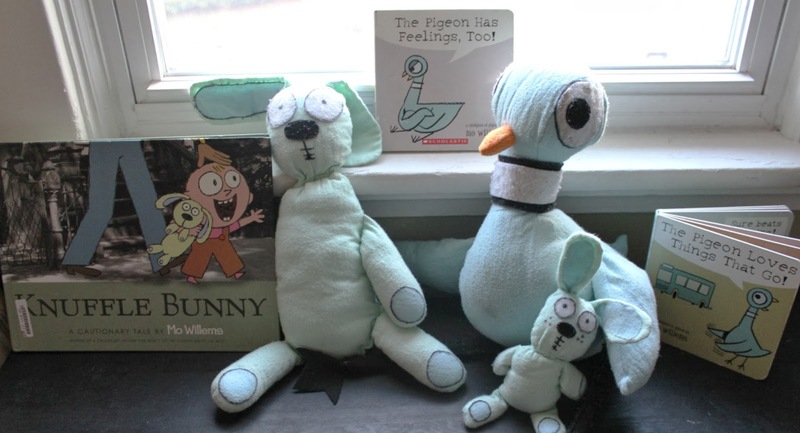 Around 3 years ago, when my son began to read he could not get enough of Mo Willems' books! He loved them so much I made him toys of the characters for his birthday. The Knuffle Bunny can be seen to the left, and The Pigeon (with his own Knuffle Bunny) can be seen to the right. I didn't have patterns for these, and just pieced them together as I went along. I had made a few monsters prior to making these but by NO MEANS could be regarded as a professional - not even close! Take your time and be confident in your creativity, you CAN make something wonderful and unique as a gift! They sell discarded library books and new books to support worldwide literacy. "Better World Books is among a unique and growing group of triple bottom line companies who understand that profitis not the only way to measure business success. People also matter. And so does the planet on which we all live. For Better World Books, the triple bottom line comes in lots of forms. From helping to build a nursing library in Somaliland to offering customers carbon neutral shipping on every book they buy, doing good is not just a part of Better World Books’ business—it is the business." Let me encourage all of you to spend your money differently - spend it to make it count! Your consumer voice is important. send me an email, I'd love to hear from you! So. Love. You. And all your blogs and ideas! I wish I could send a picture of me blushing! Thank you - that really means a significant amount coming from someone I admire.